New Delhi [India], Mar 9 : Leading the user-generated content ecosystem in India, Alibaba Group's UCWeb Inc has announced the launch of We-Media Reward Plan 2.0, a self-creating content platform in India with an initial investment of 50 Million INR. The internet major is investing 2 Billion INR for driving content distribution in India over the next 2 years. UCWeb's content distribution platform UC News, launched in June 2016, has registered a new milestone by becoming one of the fastest growing apps in the country with a Monthly Active Users (MAUs) of over 80 Million in India (as of February 2017). New Delhi [India], Feb. 2 : Kenny Ye, GM-Overseas Business, Alibaba Mobile Business Group lauded the Finance Minister Arun Jaitley for this year's General Budget, saying that it is a 'Budget for the masses'. Speaking on the digital front, Ye appreciated Jaitley's initiative towards digitisation and and expansion of the Bharat Net project, which will ensure high-speed broadband to 1.5lac gram panchayats via Wi-Fi. "With increasing smartphone penetration and push for high-speed broadband connectivity in rural areas, a massive digital revolution is imminent in India," Ye added. Ajay Laddha, Co-Founder, YMS Mobitech Pvt. Ltd shared similar views on encouraging cashless transactions. Beijing [China], Jan. 12 : Chinese e-commerce giant Alibaba Group has apologised for posting on Twitter an illustration with inaccurate maps of both China and the U.S.
On the map of China, neither Taiwan nor the South China Sea islands were marked, reports the People's Daily. The illustration was posted on Alibaba's official Twitter account to explain the trade opportunities between small businesses in the U.S. and customers in China. However, the maps soon drew criticism for excluding Alaska and Hawaii on the U.S. side, and Taiwan and the South China Sea islands on the Chinese side. Alibaba Group Holding Limited posted its slowest sales growth in the first quarterly results after Daniel Zhang took the charge of the company in May. It is Alibaba’s slowest sales growth in at least three years. The reports showed that shares of the company dropped 5.1% in New York trading, making it the lowest drop since the company initial public offering in September. Now, the biggest challenge for Zhang is to gain investors’ confidence, especially as the Chinese economy cools after years of torrid growth. He is in charge of a company that has lost about $100 billion of its value since November, the largest destruction of shareholder value globally. Alibaba Group Holding Ltd new CEO, Daniel Zhang, said that the Chinese e-commerce leader is planning to invest heavily in existing and new ventures abroad, making its push beyond the China market a top priority. Zhang's has made the comments at such a time when Alibaba is aiming to maintain its rapid growth even as the prospect of e-commerce saturation at home is looming over the company. A report on Thursday on Alibaba's news and commentary website, Alizila, said that since taking up new post this week Zhang said in his first speech that they must absolutely globalize. The vast bulk of Alibaba's revenue has been coming from its dominant domestic online marketplaces, but the company invests in a range of sectors abroad also. Alibaba Group Holding Ltd, China's largest e-commerce company, has performed well in its fourth-quarter earnings reported last week. The company's earnings beat all estimations and its stock increased more than 9%. The company also made an announcement that Zhang would be appointed as CEO, replacing Jonathan Lu. New CEO of Alibaba is looking forward to create an international platform for the company to grow in other countries after China. In an interview with Bloomberg, Mr. Zhang said that his global strategy is 'a long journey'. Mr. Zhang wants to implement the expansion strategy using his agreements with international brands and foreign investors. Chinese e-commerce firm Alibaba Group Holding will merge the operations of its online pharmacy business into a Hong Kong-listed affiliate in $2.5 billion deal. Shares in the affiliate, Alibaba Health Information Technology Limited, nearly doubled early on Wednesday after the announcement. The shares rose to HK$12.6 at 10.30 am after it resumed trading on Wednesday. The shares had been suspended from trading since March 23. Under the deal, Alibaba has agreed to acquire Beijing Chuanyun Logistics Investment, which is 90.44% held by Ali JK Investment, a wholly owned subsidiary of Alibaba Holding and 9.56% by Mr. Chen Wenxin. Ant Financial, Alibaba's finance arm, is planning to launch its online bank service branded as MYBank in June this year. The launch news was disclosed by Yuan Leiming, Ant Financial's general manager in an interview in Beijing on Thursday. Ant Financial will own around 30% stakes in MYBank. Other shareholders will be Shanghai Fosun Industrial Technology Development Co. Ltd, a subsidiary of Fosun International Ltd, with a 25% stake. A subsidiary of Wanxiang Group will hold 18% and Ningbo Jinrun Asset Management will own 16%. 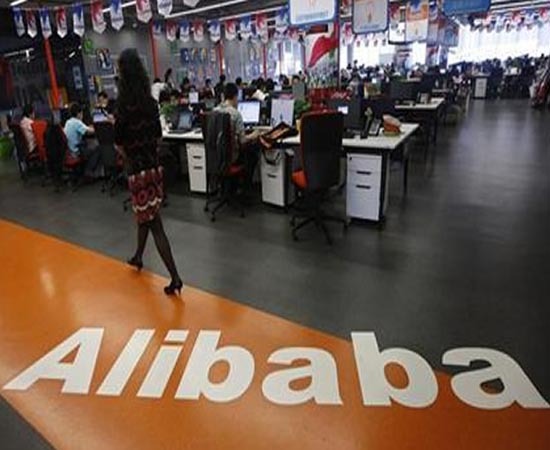 MYBank's launch will help Alibaba Group Holdings to build a full-fledged internet finance platform. Ant said that it will offer services like banking, loans and credit, insurance, payment systems and investment to new tiers of Chinese society. Beijing, Jan 30 - Alibaba Group Holding Limited's shares have fallen by more than 10 percent on Thursday wiping more than 25 billion dollar of market value after the third quarter revenue fell short of expectations. According to China Daily, the revenue of the company rose by 40 percent making it 4.22 billion on the December quarter. Tian Hou , a Beijing-based analyst said that stock price drop is not about Earnings per share, it's about the top line growth. London, Nov 12 - China's online retail giant Alibaba has reportedly revealed that it has netted 9.3 billion dollars in sales from its annual Singles' Day shopping event. The firm said that the sales had climbed to 57.1 billion yuan, and it had shipped 278 million orders by the end of Tuesday, reported the BBC. Alibaba had recorded sales of 5.75 billion dollars and shipped 150 million packages last year on Singles' Day which is the world's biggest online retail sales day. Washington, Sep 24 : Founder of Alibaba Jack Ma has risen to the top of the China annual rich list prepared by the Hurun Report with an estimated wealth of 25 billion dollars. Until last year Ma was not even listed in the top 10 richest people of China. However, he rose to the peak just days after he floated Alibaba in the world's biggest Initial Public Offering (IPO). Ma's wealth has been calculated primarily from his holding in Alibaba and Alipay , reported CNN. London, Sep 23 : Chinese internet giant Alibaba has made the largest initial public offering in history, raising 25 billion dollars in its share flotation. The stock made its debut on Friday, at 92.70 dollars, more than 38% above its 68 dollars initial price. Alibaba's bankers then chose to buy additional shares, The BBC reported. That means the firm has surpassed the record 22.1 billion dollars China's Agricultural Bank raised in 2010. At the end of trading on Friday, Alibaba had smashed several records - with trading volume in the first minutes beating that of Twitter's stock sale - but there was still some speculation about the overall size of the share sale, report said. Hong Kong: Alibaba Group Holding Ltd and some of its shareholders have sold an additional 48 million shares, a source with direct knowledge of the deal said on Monday, making its IPO the biggest-ever globally at a value of $25.03 billion. The move comes after the stock surged 38 percent in its debut on Friday as investors jostled for a piece of the e-commerce company. Alibaba and several shareholders initially sold 320.1 million American Depositary Shares in its offering, which priced at $68 each last week. Underwriters had the option to sell additional shares from Alibaba, Yahoo Inc and Alibaba co-founders Jack Ma and Joe Tsai, according to the IPO prospectus. London, Sep 20 - Chinese Internet giant Alibaba's shares closed significantly above their initial price on the New York Stock Exchange (NYSE) on Friday, ending 38 percent above their initial asking price. Shares in the company made their debut in the US at 92.70 dollars, after being priced at 68 dollars late on Thursday. They ended at 93.89 dollars, 38 percent above the initial asking price. More than 100 million shares were traded in the minutes after the stock was launched, more than Twitter. Earlier in the day, founder and chairman Jack Ma rang the opening bell, The BBC reported. London, Sep 06 - China's biggest e-commerce firm Alibaba Group Holding has planned to raise as much as 24.3 billion dollars in an Initial Public Offering (IPO) which will be the largest technology listing in the United States. Previous biggest sale for an internet company was 16 billion dollars by Facebook's IPO in 2012. According to the BBC, Alibaba contributes 80 percent to all online retail sales in China. The final share price of the company will be decided after a global roadshow which would start this week. 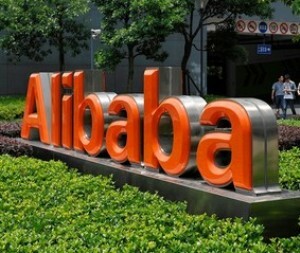 Alibaba Group Holding, a leading ecommerce portal from China, has said that it is planning to acquire a stake in a Chinese department store operator, Intime Retail (Group) Co Ltd in a deal valued at $692 million. China's leading e-commerce site, Alibaba Group has said that it is planning to launch an initial public offering (IPO) at a U. S. stock exchange instead of the Hong Kong Stock Exchange. Alibaba Group is aiming to raise up to $15 billion in the biggest initial public offering since Facebook. The company announced its decision to get listed in the US, following uncertainty over an initial public offering in Hong Kong. Alibaba Group Holding has said that it has concluded talks with the Hong Kong stock exchange without success. Washington, Mar. 17 - China's e-commerce giant Alibaba has reportedly confirmed that it will make its IPO debut in the US to reach the valuation of 130 billion dollars. The company said that a US IPO would make it a more global company and enhance the company's transparency. According to Cnet, Alibaba, which controls nearly 80 percent of China's Internet shopping market, is expected to raise more than 15 billion dollars, which would directly challenge Facebook's record Internet IPO, which raised 16 billion dollars in 2012. 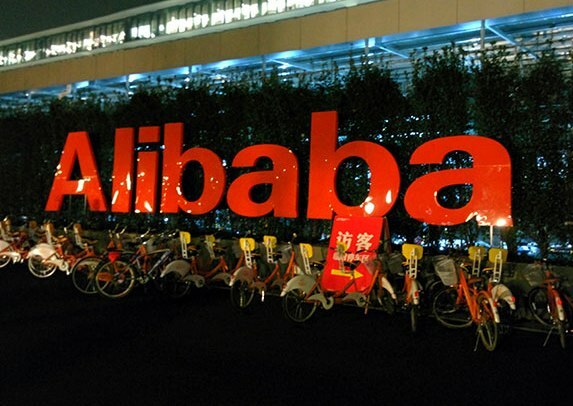 China's leading online market, Alibaba Group Holding has said that its revenues have risen 51 percent to $1.78 billion during the three month period till September. The net income of the company rose 12 per cent to the level of $792 million compared to the previous quarter as it recorded increasing sales. The Hangzhou, China-based company is aiming to attract Chinese internet users by entering into deals with Chinese as well as US firms and is also expanding its reach to mobile games and messaging. Washington, Nov. 12 - China's biggest online shopping company, Alibaba has reportedly set record in online sales by processing goods worth more than 5.75 billion dollars in one-day shopping free fest. The unofficial Chinese holiday on November 11 (11/11) came to be celebrated as 'Singles' Day' by unmarried men across the country lamenting their single status with a drink five years back, but it has become the world's largest online shopping event. According to the New York Times, Alibaba's one-day online shopping record in the world has surpassed by two and a half times the total for American retailers last year on so-called Cyber.